We met Vasil and Zina in the charming Kapana district of Plovdiv, Bulgaria. Zina is an expat from Denmark and Vasil is from beautiful Plovdiv. 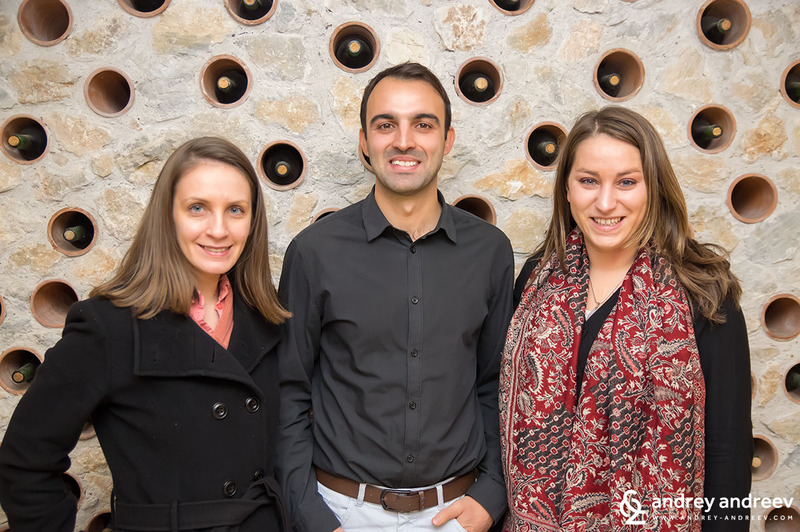 They share a passion for Bulgarian wine – the undiscovered treasure we have been keeping here for centuries. 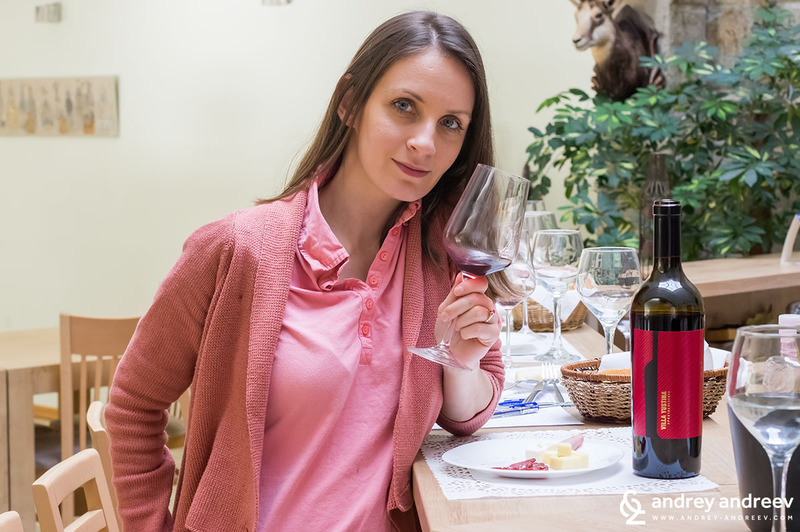 Thanks to people like them, it is in the recent years possible to go to a wonderful wine tour in Bulgaria and discover the treasures Bulgarian wineries keep around. And despite we are locals, there are many secrets about Bulgarian wine that we didn’t know. 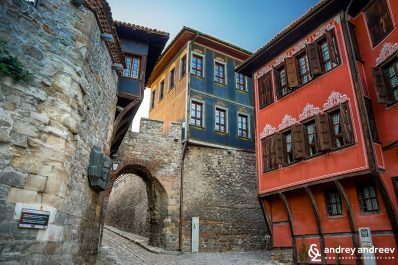 That’s why we couldn’t resist joining a tour with them, Bulgaria Wine Tours – a full-day wine tour around Plovdiv. 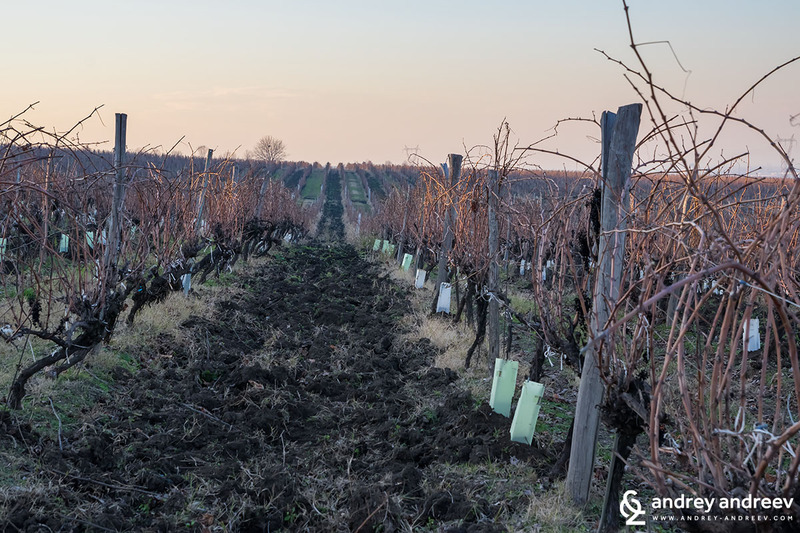 So one cold day they picked us from the Plovdiv train station and took us to a journey through the most recognisable red Bulgarian grape varieties – Mavrud and Rubin. Bulgaria Wine Tours, as their name says, organizes different types of wine tours across Bulgaria for anyone interested in Bulgarian wine. 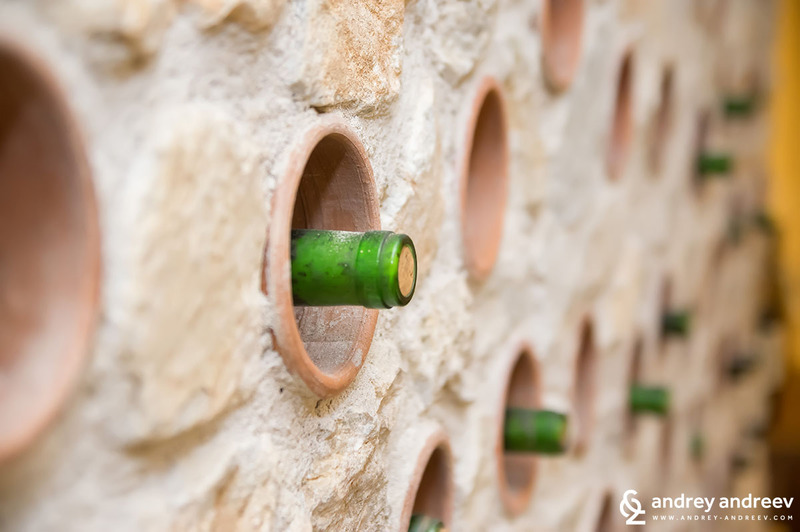 No matter whether you are just a beginner wine lover or a professional, they can take you to the best places to experience Bulgarian wine culture and production, according to your level and preferences. And going around with a guide has its obvious benefits. First, Vasil and Zina know perfectly well where they are taking you and what to accent on. Second, there is someone to drive! 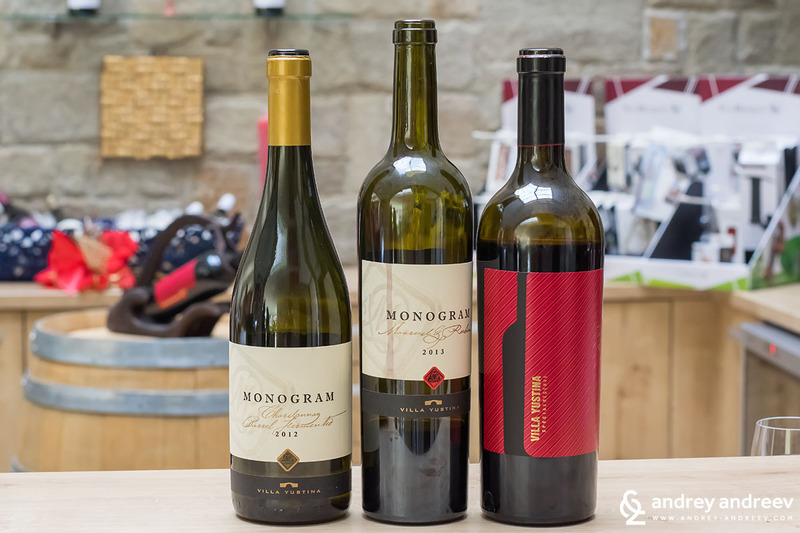 Despite we feel quite comfortable visiting wineries by ourselves, going with a guide was a totally different experience that we loved! We took the full-day wine tour around Plovdiv, visiting 3 wineries in one day with lunch in between. So they picked us from the train station and we headed first to Villa Yustina wine cellar, a 30 minute drive south of Plovdiv. Villa Yustina is a nice modern wine cellar where you can see probably the largest diversity of wine production vessels in Bulgaria. They are an experimental base and a showroom of a Bulgarian company producing inox equipment so it is very attractive to feel like in an exhibition hall. 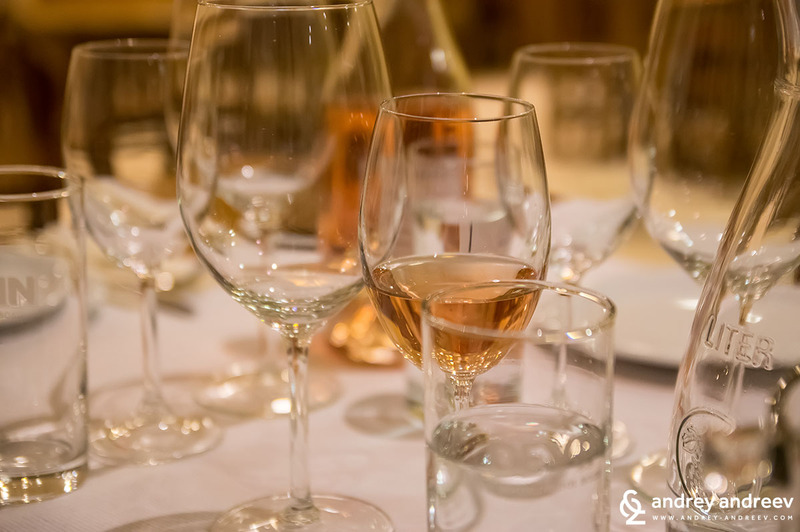 So they make many different styles of wine – from table, daily wines, to more special and complex wines for special occasions. Also, sparkling wines. Therefore, we were very curious to discover them all and see the difference. We started with white wines and were happy to enjoy again our favourite white variety – Gewurztraminer in their bottle 4 Seasons – SUMMER. The 4 Seasons is a series of terroir wines, representing 4 single varieties grown in Villa Yustina’s vineyards. We tasted 8 wines at Villa Yustina and we loved them all, but there was one really memorable – the Monogram Mavrud & Rubin 2013. 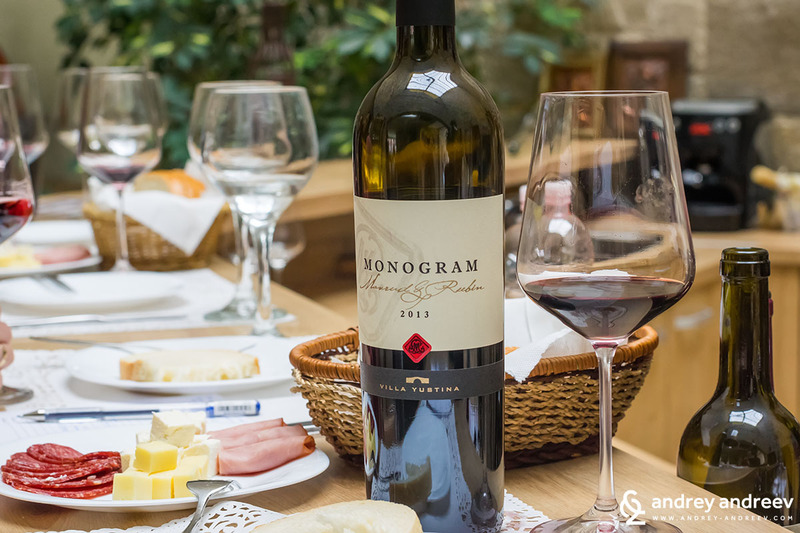 Combining two of the most notable Bulgarian red grape varieties, it is a premium wine to remember. Full, elegant and aromatic, it can turn every ordinary evening into a special one. Monogram Mavrud & Rubin 2013 is a real Bulgarian wine. It has matured in Bulgarian oak barrels for 18 months and then more than a year in a bottle. Villa Yustina is one of the coziest places to taste wine. People are extremely friendly and welcoming and will make you feel home. We would happily stay for a whole day but we had our plans this time. 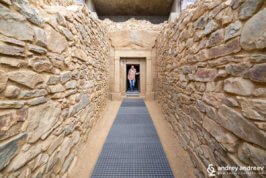 I would call this winery the Kingdom of Mavrud. Yes, they are strongly focusing on this indigenous Bulgarian variety. 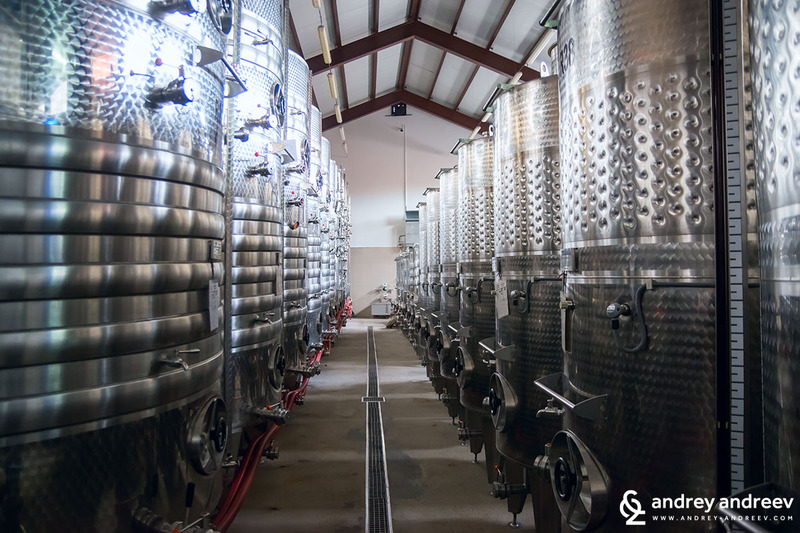 The owner of Zagreus Wine cellar Dimitar Kostadinov revealed that he and his colleagues in the winery are enthusiastic to make experiments with traditional production methods and technologies. This is one of the reasons we love visiting wine cellars instead of buying wine from the shop – any wine is more special when there is a story behind it. 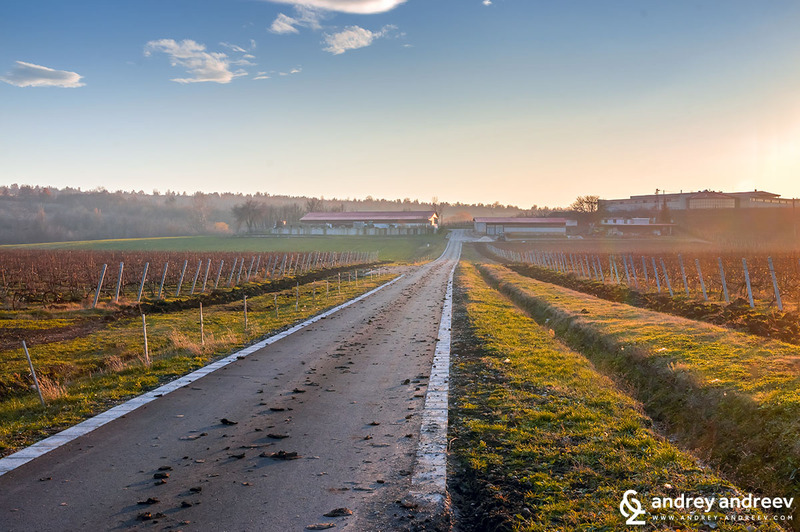 Zagreus wine cellar is located on a beautiful hill near the town of Parvomay with stunning views around. 1200 decars of vineyards surround the building, half of them Mavrud. Since 2010 their grape production is organic. 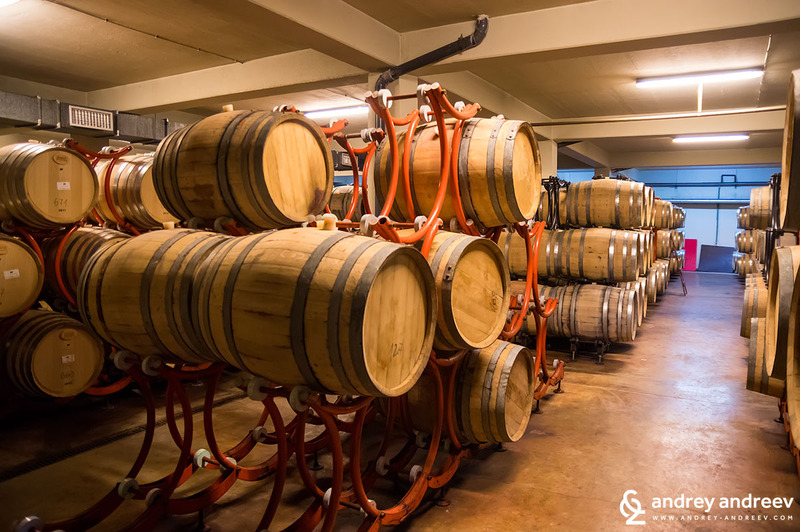 Moreover, Zagreus use only Bulgarian oak barrels. They believe (and we share this belief) that Mavrud develops best in Bulgarian oak. The wine tasting that followed proved this. If you thought that white wine is produced from only white grapes, you might be surprised when you see the bottle of White Mavrud. However, every single grape has a white juice and the colour actually comes from the peels and other parts of the vine. So, if the juice is extracted as quickly as possible, you can make a white wine. Like White Mavrud. 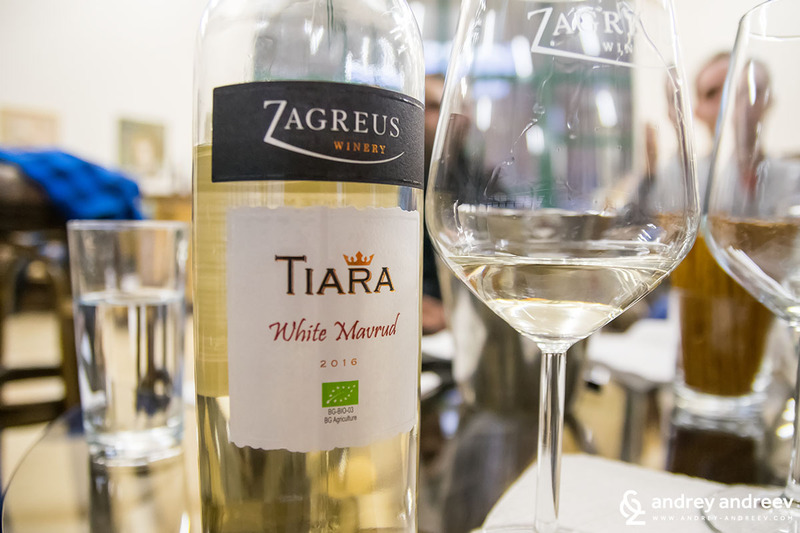 We tried the TIARA series White Mavrud, a wonderful organic wine. 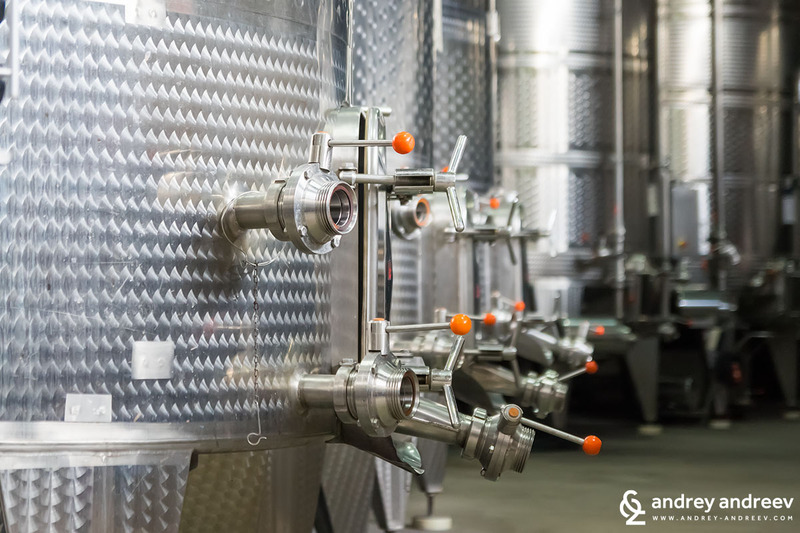 The most famous wines produced by the Blanc de noir technology are the Champagne wines. One of the main varieties used for Champagne production is Pinot Noir. We just fell in love with it. It was labeled the best Bulgarian red wine of 2016 and there is a reason for this. Vinica is made by a special technology used in Northern Italy. After picking, the grape is left to stay in a dry and ventilated place for 2 months. This ventilation and “drying” makes the sugars and acids more concentrated. 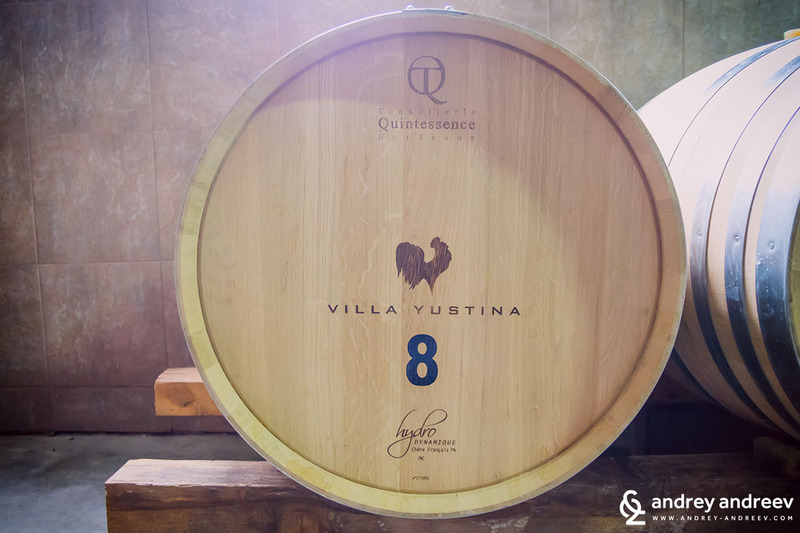 The Vinica wine matures 18 months in Bulgarian oak barrels. The result is amazing – a complex and rich wine that fully deserves its awards. 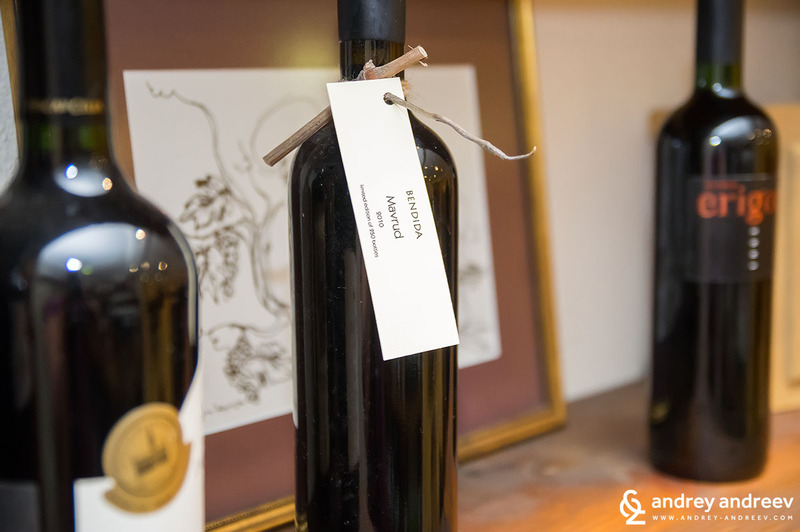 No matter whether you are a wine newbie or a professional, Vinica is something you will never regret tasting. It was already dark outside and we went back to Plovdiv for a visit to a local wine bar – one of the hidden treasures of Plovdiv. 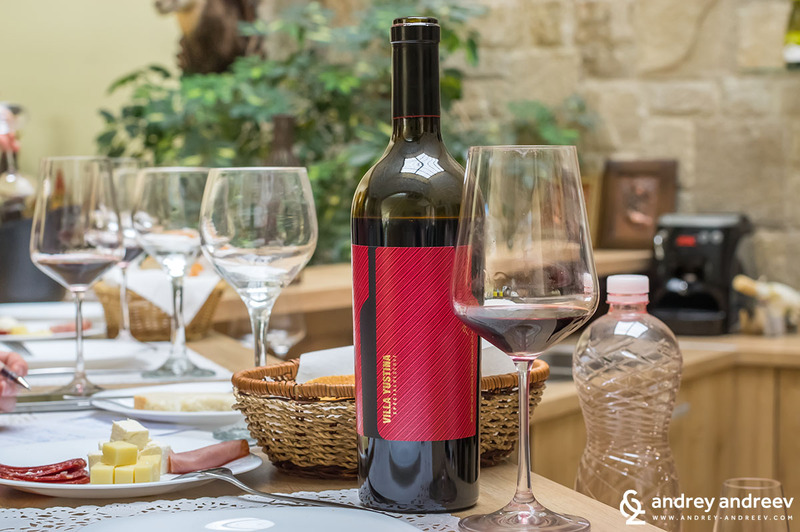 Bulgaria Wine Tours took us to a place we would never have discovered ourselves – the enoteca of Bendida, a small family winery based in the nearby Brestovitsa village. Bendida is one of those small family-owned places where you are not feeling like a tourist but like a guest to old friends. The warm welcome by Toni, the owner, made us even more curious of what follows. And yes, is was a surprise. A few steps below the small wine shop was the spacious enoteca storing wines from all over the world and ready to accommodate tens of guests. Toni appeared to be a wonderful sommelier, really good at pairing food and wine, widely respected for this. We didn’t make exception from praising her skills in that area. 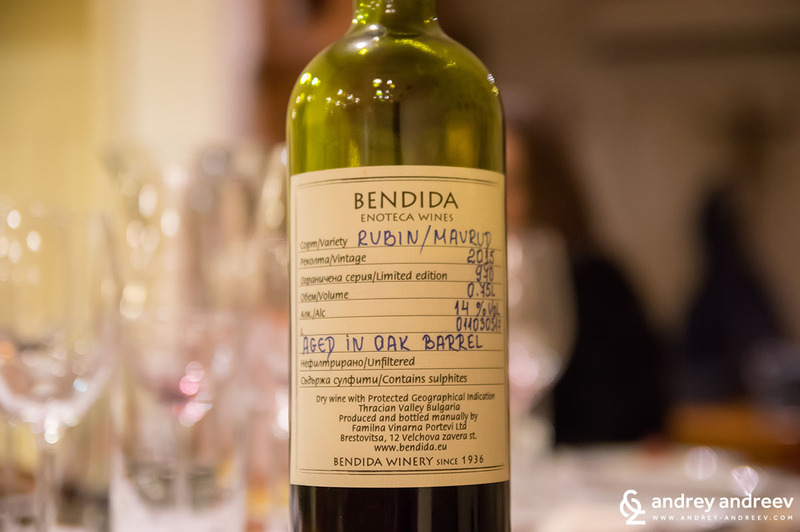 The owners of Bendida are keen on preserving the traditions and making natural, indigenous wines. The grapes they use come from a 36-year old vineyards. 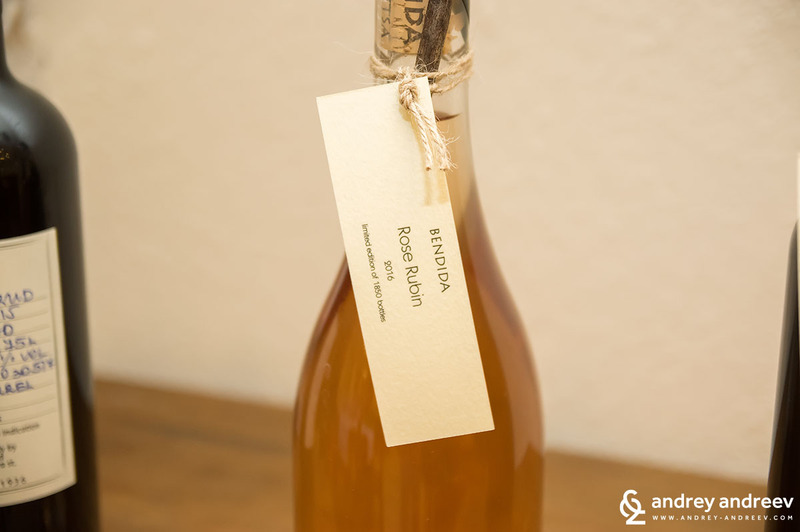 Their passion is Rubin – an indigenous Bulgarian variety, grown traditionally around Brestovitsa village. Toni greeted us with Rose of Rubin, 2017 – fresh, fruity, slightly sparkling, with a sweet boost at the end. We love Rose and we are always happy to try its freshest varieties. Then followed another 2017 – the Rubin 2017. Still not fully ready, but impressive – fresh, fruity and still wild. We tried also the Rubin 2015 and Rubin&Mavrud 2015. Both tasty, rich, memorable, with a lot of character. Or maybe all of these words sound ridiculous when talking about wine. 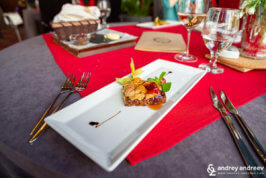 So let’s stop here and say that we just loved the Rubin wines of Bendida and are already planning to visit some of the gourmet dinners they are organizing regularly in Plovdiv. You can also taste Bendida wines at their wine bar at Kapana district, Plovdiv. It was a long, interesting, exciting day wine tour around Plovdiv. We would never manage to do it ourselves if there weren’t Vasko and Zina. It is always better to be guided by someone with more knowledge than you – you do not risk to miss the most interesting things. And despite we love travelling just by ourselves, we would happily join a wine tour and be driven and guided by a professional. 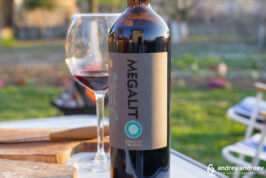 So if you want to explore and love Bulgarian wine – Bulgaria Wine Tours are your best friends.